This is not the first time we have featured games here at the English Matters Blog. But this is the first time a game has been influenced by the orient. 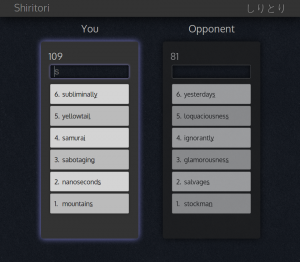 Shiritori is a Japanese word game where players have to come up with words starting with the letter which ended the other player’s contribution. The longer the word, the more points the respective player earns. At the end of the round, the player with the most points wins. The game is highly established in Japan and was first invented as a pastime a couple of centuries ago. Since it uses the sounds at the beginning and end of words, the game can be oral, with players saying the words, rather than writing them down. There are several versions of Shiritori games available for mobile devices, including Android and iOS. If you fancy playing the game right now, go to one of the best online versions out there. 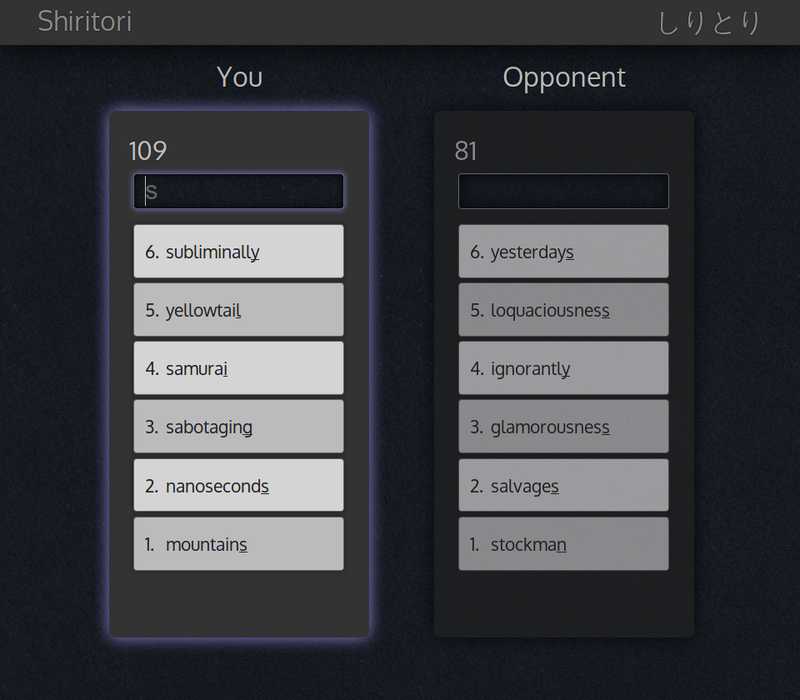 You can challenge your Facebook contacts to a friendly competition. If you decide to go at it solo, the game allows you to select a difficulty level – from Easy to Extreme. Stretch your vocabulary muscles here!